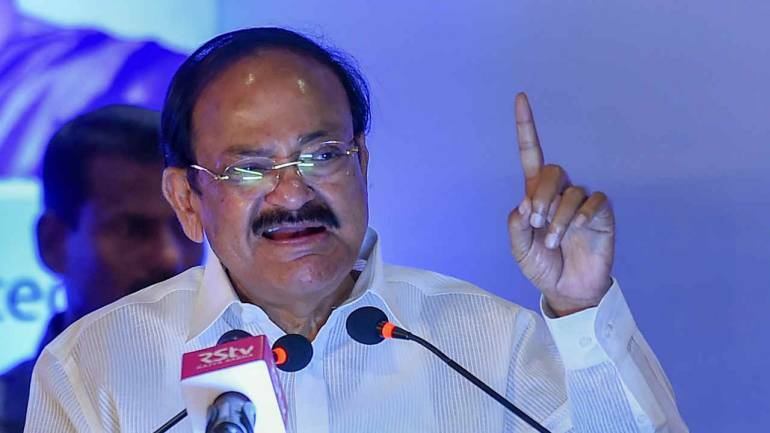 Vice President M Venkaiah Naidu Friday called for revamping higher education to bring it in tune with the contemporary needs and said the “undesirable trend” of lakhs of engineering students graduating in India without basic employable skills must stop. The vice president said the country faces numerous challenges and they have to be combated in a concerted manner to build a “New and Resurgent India”. Naidu was addressing the fourth convocation ceremony of the National Institute of Technology Goa (NIT Goa). Goa Governor Mridula Sinha was also present on the occasion.”You are on the threshold of a new life. As you step out into the bigger world, take an oath to work for the good of the society and the country. “Education is not only for employment. It is meant to empower, enlighten, widen the perspective of the students and develop them into global citizens,” the vice president said. “Here, I would like to emphasise upon the urgent need to revamp our higher education in tune with contemporary requirements. “We simply cannot continue to have lakhs of engineering students graduating without basic employable skills every year. This undesirable trend has to be stopped,” he added. Naidu said educational courses must be designed to meet the needs of industries. “Our universities need to overhaul the syllabi and the teaching methodologies to make the courses relevant to the needs of the industries. “I also feel that engineering students should be made to work as interns for some weeks every year to enable them gain firsthand experience,” Naidu added. “Although our achievements have been quite impressive during the past seven decades in various fields, including agriculture, industry, health, atomic energy, defence research and information technology, among others, we have miles to go. “We need to improve the quality of life of the millions of Indians, and the role of scientists and engineers is very important in overcoming various challenges,” he said. “I have always maintained that man should not tamper with nature, but co-exist in harmony with nature for a greener, life-enhancing future,” Naidu said. “Please remember that from times immemorial, Indians believed in worshipping nature and its bounty. Therefore, always uphold our culture and protect nature for a better future,” he said while addressing the students. “Poverty, illiteracy, diseases, farmers’ distress and social evils like atrocities on women and weaker sections, child labour, terrorism, communalism and corruption have to be eradicated to build a New and Resurgent India. “I expect the youth of the country to be in the forefront of this noble mission,” he said. “As engineers, it is important for you to take a closer look at the collective needs of the populace and come up with innovative, cost-effective solutions, especially in areas such as healthcare and education. “I would also like the engineering professionals to assume greater responsibility in creating safe, secure, healthy, productive and sustainable life for the countrymen,” Naidu added. The vice president said “for India to become the third largest and a 10 trillion dollar economy by 2030, we have to surmount many barriers and achieve faster growth”. Naidu said India is the fastest-growing economy and its Gross Domestic Product is expected to grow at 7.3 percent next year. “With improvement in the ease of doing business rankings, India has become an attractive destination for FDIs, while the World Bank had stated that private investments are expected to grow by 8.8 percent in FY 2018-19,” he said. Naidu praised the infotech industry and also the government’s ‘Skill India’ programme. “The IT sector continues to be a leading employer even as India remained the third largest hub for technology startups,” he said. “With India poised to become a high middle-income country by 2030, there will be lot of opportunities for the youth in different sectors. “The need of the hour is to impart skills to the youngsters to enable them find gainful employment or become self-employed. The government’s ‘Skill India’ programme is a step in that direction,” the vice president noted.